Hello there and welcome to my new blog series: 5 on Friday Interviews. This is a fun series that will feature short and sweet weekly interviews with lovely artists and creatives from around the world in 2014. Today we'll get started with gifted photographer Xanthe Berkeley from London, who I had the pleasure of meeting over coffee back in 2012. You can see more of Xanthe's beautiful photographs and videos on her website, and I also love following her work on Instagram and Vimeo. 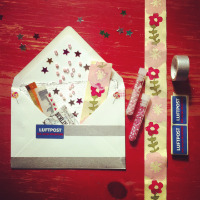 To kick things off, Xanthe is offering a free giveaway spot in her upcoming e-course Creating Time Capsules, hooray! I'll be taking the course too, and Xanthe will teach us how to make delightful short video clips using our photographs and video material (you can even use your smart phone videos) - and I can't wait! To enter Xanthe's Creating Time Capsules e-course giveaway, be sure to leave a comment here at the end of this interview. Next Friday, we'll choose a winner randomly, and the lucky winner will be announced here for our next 5 on Friday interview session, yay! Welcome Xanthe! I'm very happy that you could participate for our first 5 on Friday Interview. 1. Please tell us about yourself, what you do, and name 5 of your favorite things. I love to fill the frame with bright colours, movement, sunshine and smiles; my work centres around family life and adventures. A wide variety of projects keeps my photography and film business busy. From guiding and inspiring others, through my online courses, to my own brand of relaxed session reportage – capturing everyday moments and cataloging these memories is my passion. 2. Where do you live, what do you like about it - and what place would you most like to visit one day? I live in London. I love the vibrant mixture of people and places it has to offer. I regularly explore my city and discover new things each time. There are eclectic urban areas and beautiful rambling areas of nature. When the sun is out and the sky is blue, there is no place I'd rather be. Top of my list of places to visit is India… I just know the rich culture and rainbow of colours will make my heart sing! 3. How do you manage to keep a good life/work balance and stay healthy and fit? It's a practice I have to keep reminding myself to do. I try to walk every morning, just 20/30 mins outside in nature. The fresh air and nature sets me up for a good day. I work from home, so sometimes the boundaries of work/life cross over, but this year I'm making an effort not to email or be on the computer around my family. Just be present more and only work when our children aren't around. 4. What is the most exciting adventure you ever had? Last year my family and I experienced a 30 day adventure to Bali, Cambodia & Thailand. We disrupted the routine of life and filled ourselves up with new sights travelling and exploring. It was an incredible and very fortunate opportunity. 5. What are your creative projects and dreams for 2014, and what is your advice to those who would like to pursue a more creative, artistic path too? I have a few projects planned and some dreams to realise this year. 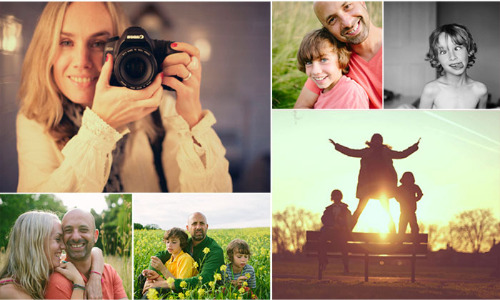 To shoot more photo portrait sessions and tell the stories of others & my family through photos and film. Keep running my online courses, perhaps create another one and maybe teach/share in person. To explore and adventure the world. My advice is to DO. Stop thinking and pondering what could be done. Stop listening to the voices of others and the one in your head telling you it's not possible…. just try and DO… work hard and work in a way that's true to you and something will always come from it. Thank you Xanthe for joining us and sharing your beautiful photographs and thoughts today! Don't forget to leave a comment here to enter Xanthe's e-course giveaway for Creating Time Capsules. I'll share my workshop and course information (including Early Bird discount registration), as well as monthly recipes, guest interviews, studio sneak peeks, and my entertaining Berlin photo walks.